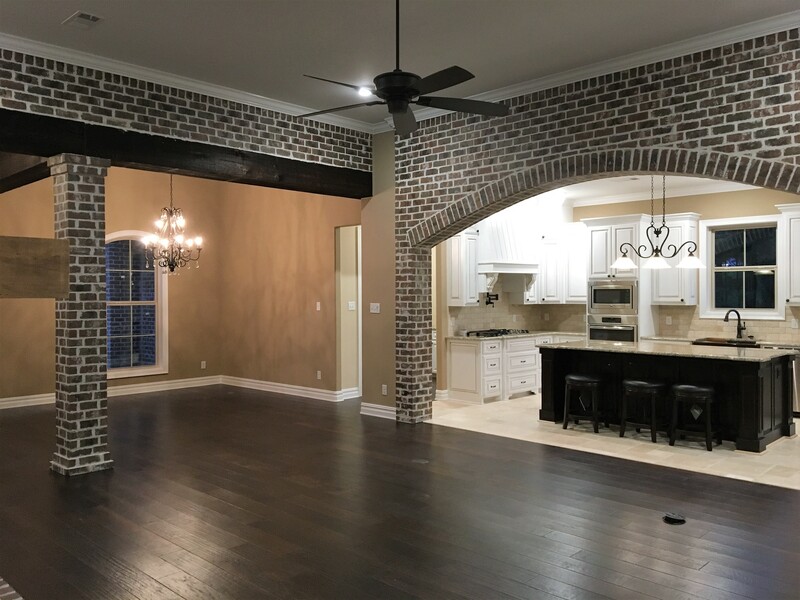 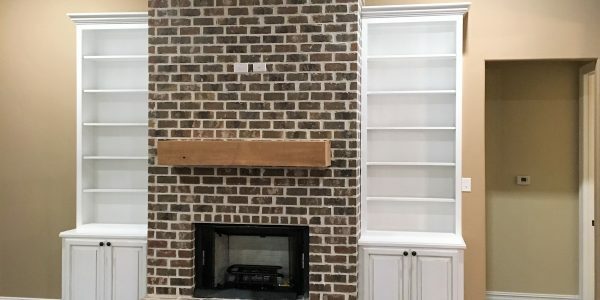 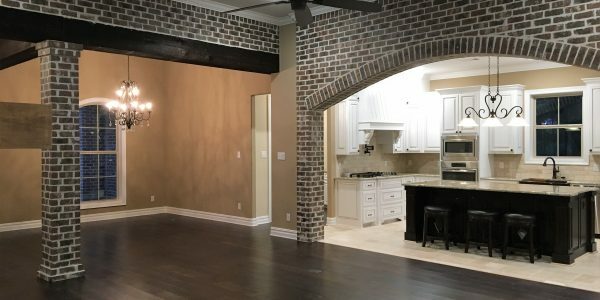 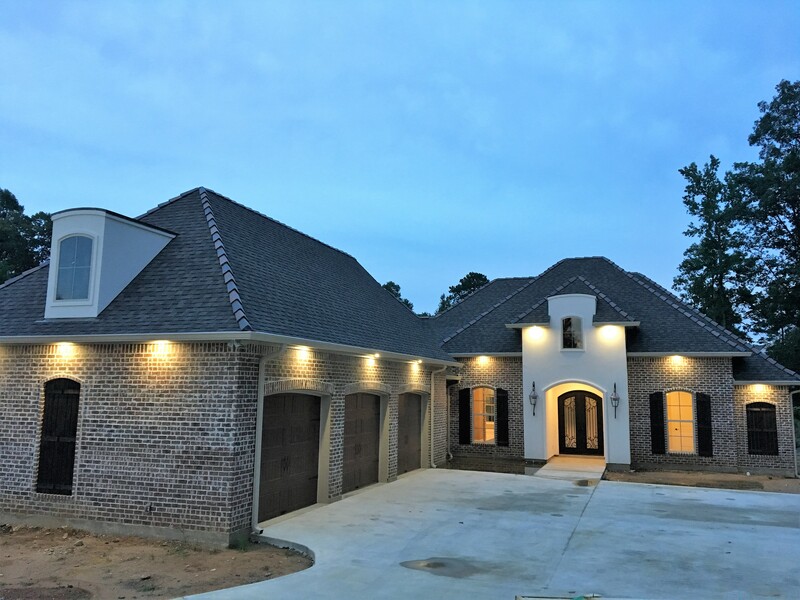 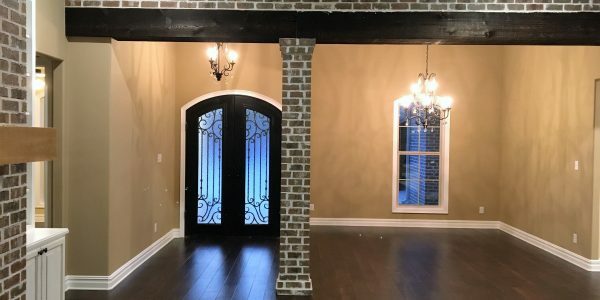 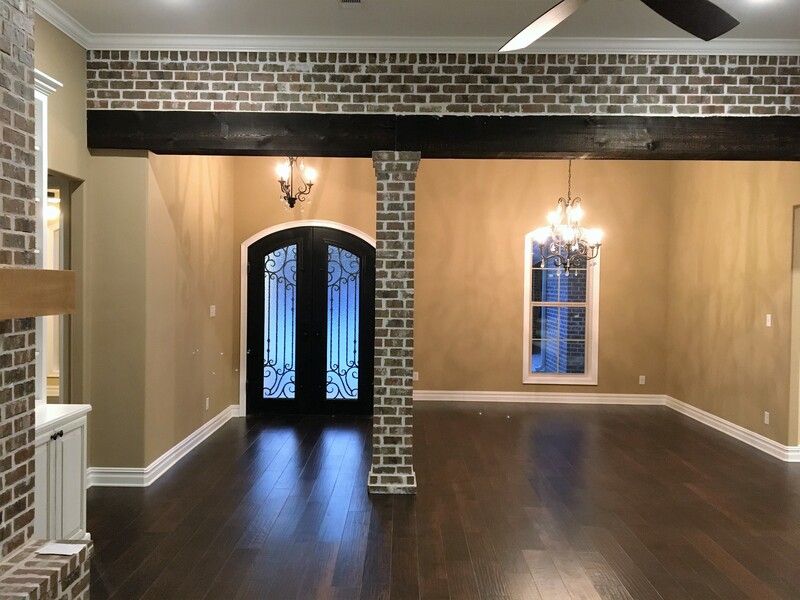 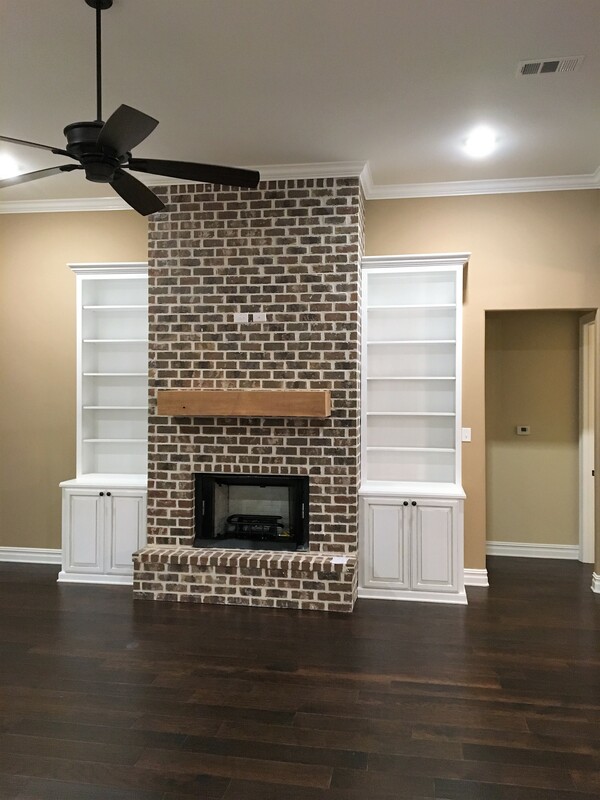 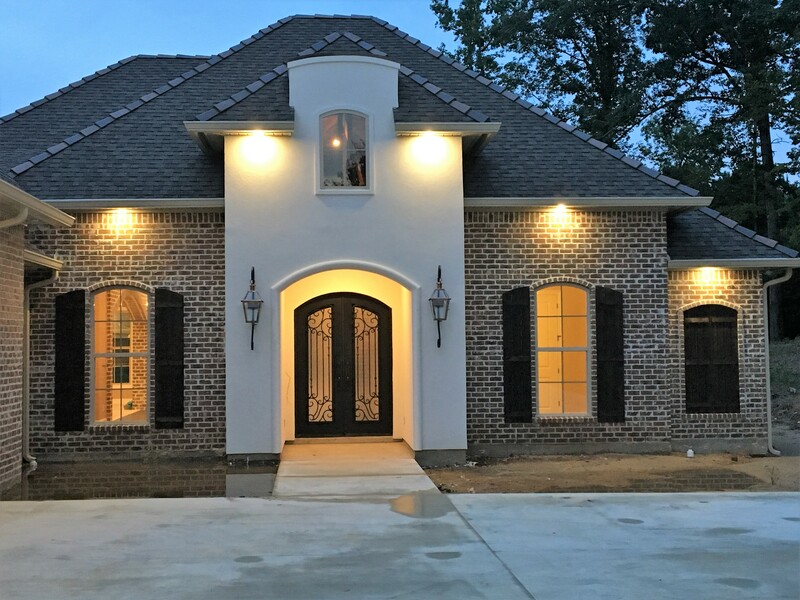 This home features interior solid cypress beams topped with a brick veneer and grand interior brick arches. 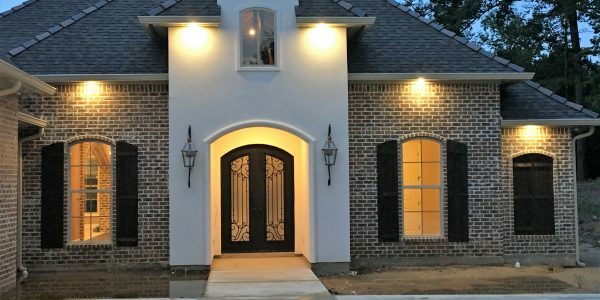 This elegant manor with its brick and stucco façade catches the eye of every passerby. 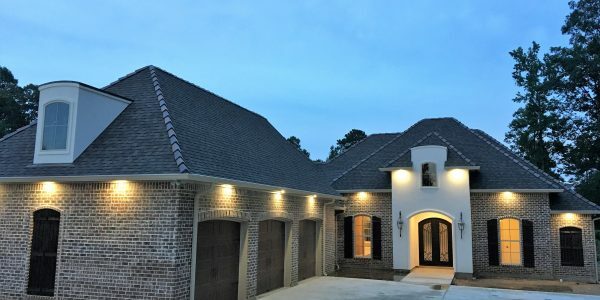 Gas lanterns illuminate the entryway while LED lighting in the soffit casts luminous glows around the home. 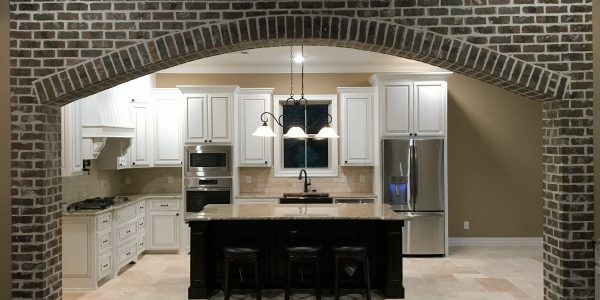 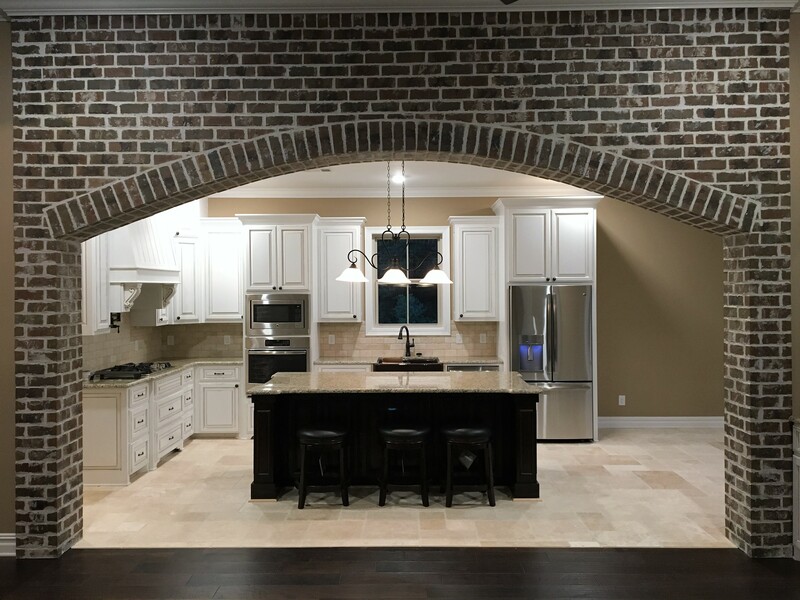 Many brick details adorn the interior of this home, including a large arch separating the kitchen from the living area. 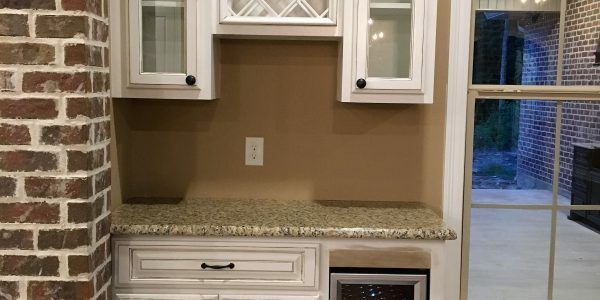 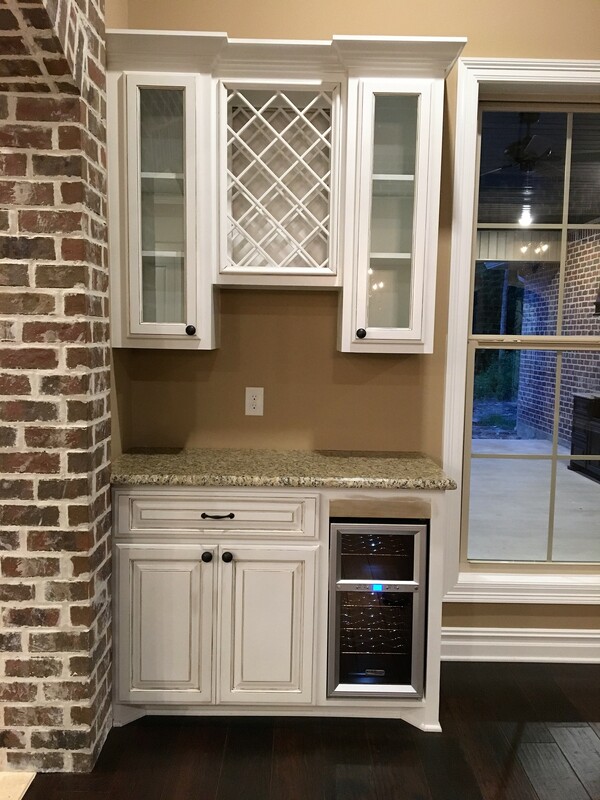 A walk-up bar complete with wine rack and refrigerator accents the living area. 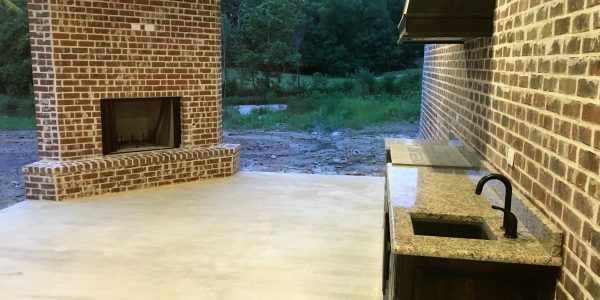 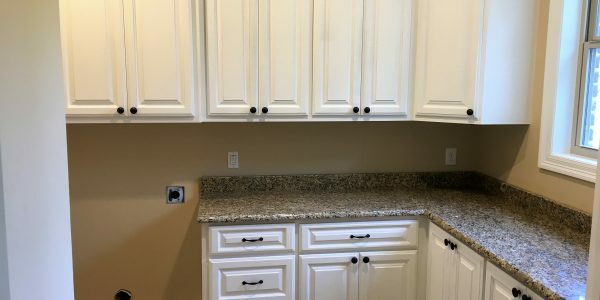 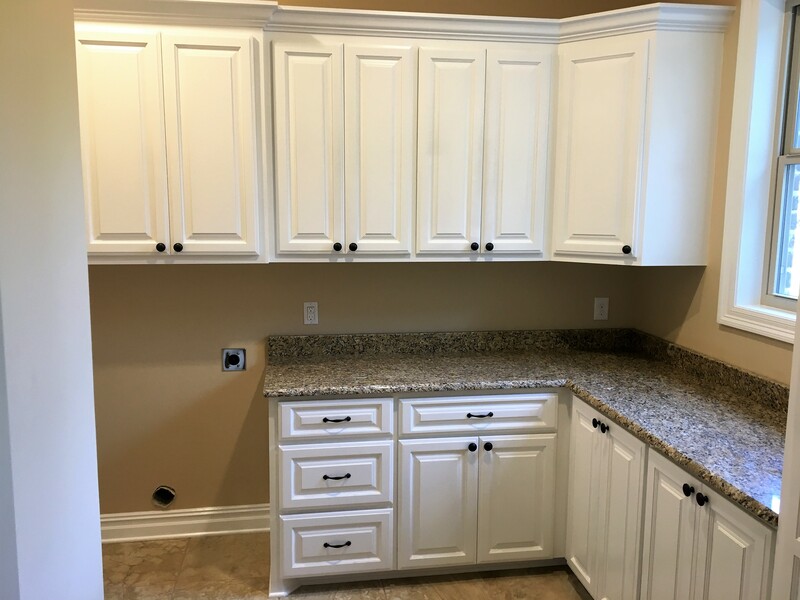 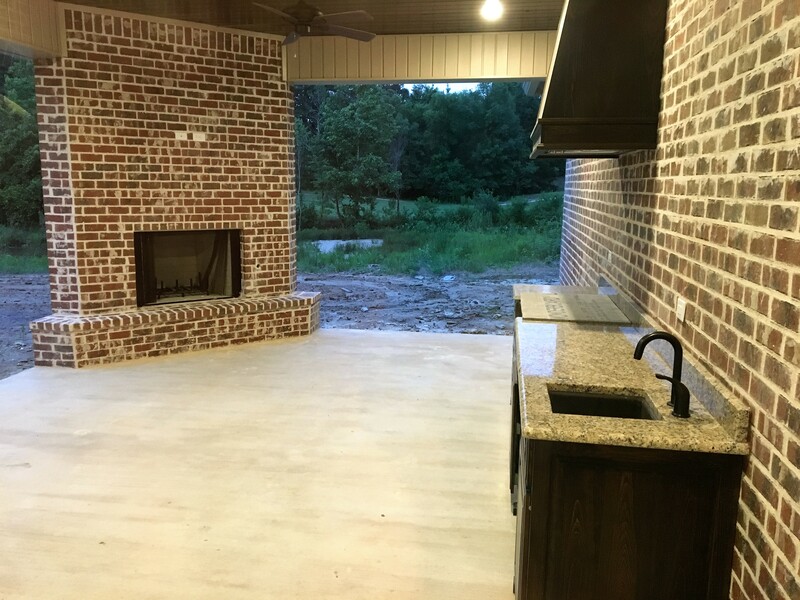 The adjacent glass door leads out to a spacious covered patio with a grand brick fireplace and outdoor kitchen.